10 (Anti) Social Questions – Why, Why, Why? Recently I’ve been asking a number of questions. Here are 10 of them. 1. Why does my neighbor say he has a Hummer because of his job? He’s a cop. 2. Why for every misspelled word in Tweetdeck, the program suggests mucus and raucous? Today is March 15 or the Ides of March – beware! I am not superstitious but I’ve had server problems on March 15th on more that one occasion where it took the entire day to resolve the problem. Fortunately, this year it falls on a Sunday so most of us won’t be working. Last Sunday was International Women’s Day, which I didn’t realize until after the fact but I do have a link about women’s issues this week. I also have tweetdeck tips, operating systems over the years, creating a large website background in CSS, the Hawaiian Chair, USB drives, and a year in 2 minutes. 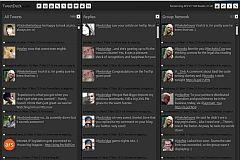 My regular ‘Stuff This in Your RSS’ article has been preempted by my guest post about Tweetdeck at Darren Rowse’s new site about Twitter, TwiTip. 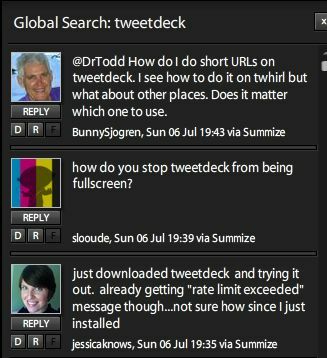 I wrote an article about Tweetdeck, when it was first released last July, called All Hands on Tweetdeck. I had been thinking about updating the article because many of my cons of using it had been corrected. When Darren asked for contributors for his new site, I emailed him and offered to write a review of Tweetdeck and he graciously accepted my offer. Happy November! Hope you’re not too full of Halloween Candy. And to my fellow Philly friends I hope you’ve started to come down from your World Series high. This week we have information about Tweetdeck, a Train for Humanity article, memories of a grandmother, making your website recession-proof, some thoughts on Doctor Who, two of my new articles at Environmental Graffiti and Halloween photos.